According to several ecommerce watchers in the Philippines, the ecommerce industry is expected to grow bigger in the Philippines this year. The predictions for this year include more ecommerce start-ups, traditional businesses moving towards online marketing, and an increased demand for services to be made available online. According to Janette Toral, founder of ecommerce watcher website DigitalFilipino, 2014 is the year for services to pick up in the ecommerce market. “For 2014, it’s more of not just the super stores becoming noticeable but services picking up as well. Services will continue to bring in new ideas that we never thought possible,” she explained. She also noted that rural banks are also joining in the ecommerce world. You can easily see this with the growing strength of sites like Sulit, Zalora, and Lazada. The most recently offered mobile apps also show this pickup in services – transportation apps Uber and Tripid have started providing services to the Filipino audience (although they have a public hearing pending due to conflicts with Philippine regulations), while GrabTaxi and EasyTaxi are being used by many Filipinos, cab companies, and individual cab drivers already. 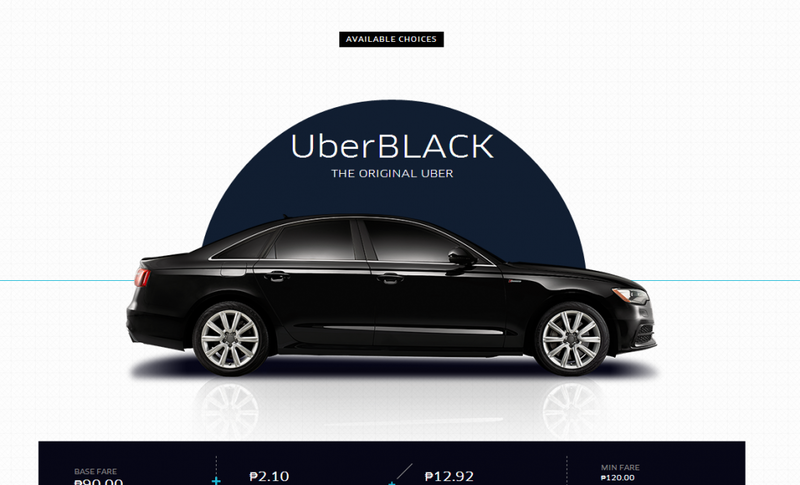 Car service provider Uber is only one of the companies who are now offering services to Filipino consumers online. Meanwhile, according to Our Awesome Planet founder Anton Diaz, 2014 is only the beginning of the rise of ecommerce. As the Internet penetration rate in the Philippines approaches 50% in the next three years, ecommerce is expected to grow. “The additional internet penetration will actually come from increase in mobile broadband usage which will make more Filipinos connected,” Diaz explained. “This is the best time to start your own online store project where you’ll still have that wild, wild west landscape,” he continues, saying that the ecommerce revolution in Manila starts in 2014. Now is the ideal time to create online presence with added ecommerce functionality, whether for products and services. Ecommerce is still relatively in its early stages, with travel, consumer electronics, and online vouchers taking the top 3 spots for most searched and purchased products / services (at 33%, 20% and 17% respectively, according to a Reader’s Digest survey). However, the arrival of new online services and ecommerce platforms shows that there is a viable online market in the country, and that the consumers’ trust in ecommerce sites is increasing. It’s the perfect time for you to set up your presence now and establish your brand as a trusted ecommerce provider. We’d be glad to offer our consulting services to help you develop the best ecommerce strategy. Talk to us today to get started. Jobelle Omang is the Marketing Specialist for TrueLogic Online Solutions, Inc. Part of her job is to deliver tactical online marketing strategies, campaigns and content programs for TrueLogic and other internal brands. When not working, you can see her either reading, writing, painting, drawing, or teaching kids.May or may not be obsessed with Doctor Who.